for Kids, Tweens and Teens! Our summer camps offer students a more intense opportunity to learn the craft of theatre in a daily camp over a period of three to four weeks, depending on the play, culminating in final stage performances in front of a live audience. Campers make new friends and have fun in a safe environment with professional theatre teachers. Jazz is Our Music...the music of America! From New Orleans to Chinatown, from the cotton fields to the Cotton Club, campers will learn about such jazz greats as Fats Waller, Cab Calloway, Benny Goodman, Billie Holiday, and more! To bop, or not to bebop, there is no question! ​We haz it, folks. We Haz Jazz!" Our favorite rascally pirates are back at work, seeking adventure and treasure on the high seas! But a mighty storm rolls in and the pirates find themselves shipwrecked on a deserted island – or is it? Will the King of the High “C's” have a plan to save the day? Through the course of their musical adventures, they discover that real treasure is something they have plenty of ... friendship and family. ​Yearbook Reflections is a sensitive, upbeat musical about the will power, compassion and humor that you find in every school. Susan and Beth ask Jack and Eric to help move the boxes of hot-off-the-press yearbooks that have just arrived at their school. Between loads, they stop and flip through the pages of time, reflecting back on the year’s highlights. With the help of flashback scenes, we meet superstitious Debbie, who sings about her ”lucky” locker helping her get asked to the school dance. Cathy reminds us how difficult it is to be a new student at a school as she conquers her fear of walking down the hall known as ”Jock Block.” In another scene, ”What a Game!” tells the story of Tim, who carries the weight of winning the state basketball championship solely on his shoulders. Sadly, the four students also see the memorial page for Leslie, who tragically died in a car accident at the beginning of the school year, and realize their own vulnerability. They remember her favorite flower-the columbine-in a touching song that urges us all to search for peace within ourselves. This rich blend of humorous, poignant and light vignettes comes to life with the help of an ensemble of students that remains on stage through the entire play. You can experience the Magic of Theatre all year long! Watch our Facebook page for all the latest! Our class offerings give students a chance to learn the craft of theatre, from auditions to performance, in a safe and fun environment. These skills don't just entertain kids for a few weeks; the theatre skills kids learn in our classes and camps stay with them for life. Through theatre, kids become more confident and engaged in all sorts of life activities. Casting director and acting coach Holly Allen will be teaching an intensive Masterclass that you won't want to miss. Topics will include: Script & Character Analysis, Listening & Interpreting Direction, Being Flexible, Clarifying Intention & Action Verbs, Taking Bigger Risks, Opening Up Emotionally, Working with a Partner, Creating Higher Stakes, Empowering Yourself. Using short scenes and monologues from plays, films or TV series, you’ll have the chance to take direction and practice your flexibility as an actor with constructive feedback. You’ll have a chance to play with the material, use your creativity and push the boundaries of what is possible in your acting. If you would like to bring in a short monologue or other material to work on you are welcome to, but there will be scripts given out in the beginning of class. This is a fun and challenging workshop for actors at any level of experience. 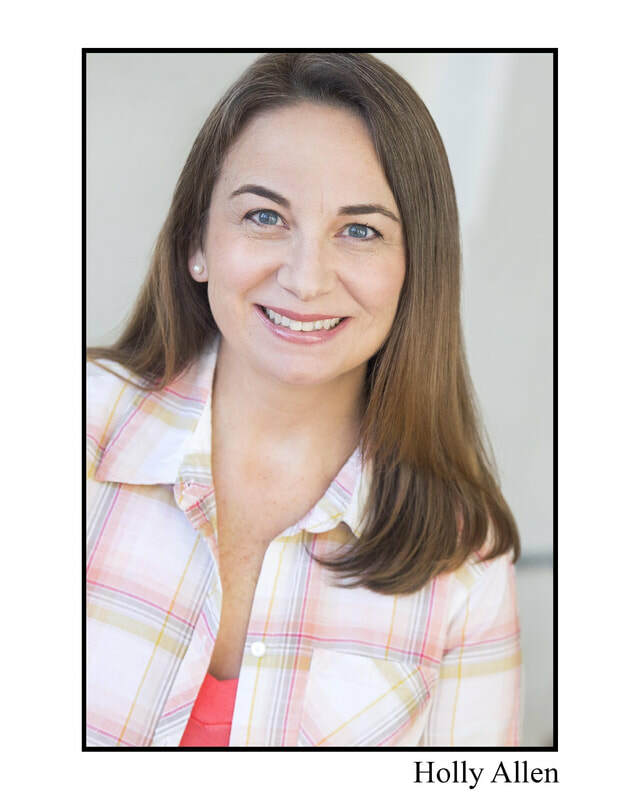 About the instructor: Holly Allen is a freelance Casting Director, Acting Teacher, and Actor based in Chicago. She was the in-house Casting Director for Nashville production company, Film House, for 13 years where she cast over a thousand commercials and industrials receiving multiple Telly Awards. After moving to Chicago in 2012 she has continued to cast for commercials, industrials, and independent film projects both in Chicago and in Nashville. Her indie film casting credits include: When Icarus Fell, Chasing Ghosts, Deadline, and No Regrets. She also directs audition sessions for a large casting firm in Chicago that casts for TV series, commercials, feature films and theatre. Want us to offer it again? Do you want to thrive and not just survive? Talent is half the equation in show business. Lacking confidence in your musical theater auditions? Walk into your next audition prepared and confident!